The loss of someone you know to suicide, marks the beginning of a very difficult mourning period, full of mixed emotions. It is common to experience shock, grief, anger, relief, guilt and feelings of abandonment or isolation. Although everyone’s reaction to grief is different, if you are experiencing these emotions, you might find our Common experiences with suicide bereavement page helpful. During this time of emotional upheaval, it is important to look after yourself. Spend time with nurturing people and ask for help when you need it. Ensure you have the time to yourself that you need, as this can help you to cope. You may need to tell your friends and family when you need space and time to yourself. Eat regularly and get adequate sleep. Even though it may seem difficult, getting back to a routine can help you to cope with intense emotions. 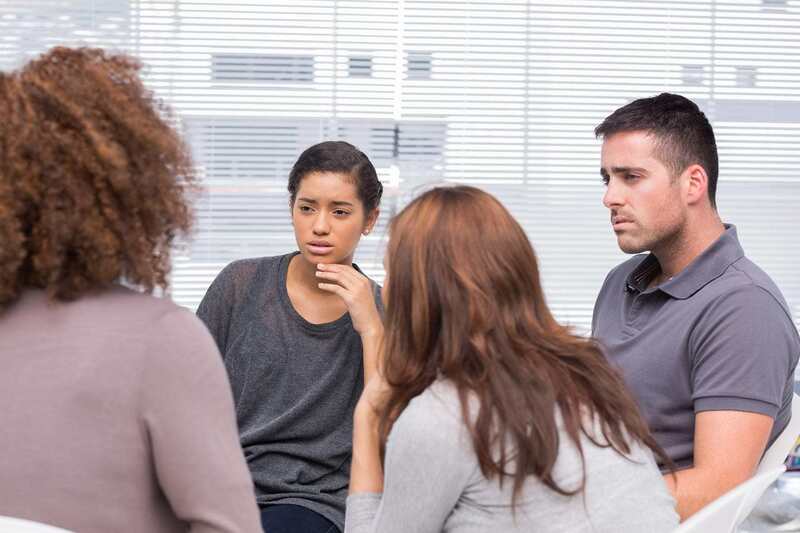 Attending a support group to share your experience with other people bereaved by suicide can help with the healing process. They provide a safe place to express and discuss conflicting emotions without fear of judgement or condemnation. As time goes on, if you are finding it difficult to deal with the loss of your loved one it might be helpful to talk to a counsellor. You can contact the Suicide Call Back Service 1300 659 467 for telephone support. Your GP will be able to refer you to a counsellor or psychologist for face-to-face counselling. You may be able to access free or subsidised support through the coronial services, your local community health centre, your workplace, or school. At times, particularly in the first year or so, it may feel that you’ll never recover and life may seem bleak. Any relief you get from grief may feel short-lived and the pain feel never-ending. Most people find that over time, the gaps of relief lengthen and the intensity of the pain diminishes. Sometimes people who have lost a friend or loved one to suicide might feel suicidal themselves. The pain connected to grieving might be so intense that you also consider suicide an option. If you feel like you aren’t coping well with the loss and are experiencing thoughts of hurting yourself or ending your life, it is very important that you seek professional help. For more information on options for professional support, see Who can I talk to? Significant events such as birthdays, Christmas and anniversaries can evoke intense feelings and memories. Triggers such as smells, weather conditions and objects can also stir intense feelings. It can help to be prepared for such events and have a plan in place, such as calling or arranging to be with a friend or family member, or marking the occasion in a way that has some significance for you. You may want to think in advance about some strategies that you think will be helpful to manage overwhelming feelings – such as going for a walk, talking to someone who you trust or practicing a relaxation technique. When a death is caused by suicide, the pain of grieving is often compounded by the stigma attached to suicide. It can be difficult telling others that you have lost someone to suicide. Survivors of suicide (the loved ones that are left behind) can feel a sense of guilt or fear that others will judge them or the deceased. Your own acceptance of the person’s choice to suicide can help to mediate feelings of shame, and it can be helpful in the grieving process to speak to others who share this acceptance. You can choose what details you disclose to others and you don’t have to say more than you are comfortable with. You may decide to only share the details of your loved one’s death with select people, at least in the short-term. It can be helpful to communicate to family members and friends how you feel about what information is shared and how you would prefer to have your loved one’s death conveyed. This may help to prevent details you wish to keep private being talked about in a public setting. Talk to your boss about the timing to return. Consider easing yourself back to work slowly, perhaps with part-time hours to begin with. Familiarise yourself with your entitlements for compassionate/bereavement leave, including whether you require any documentation to return to work. Your manager or Human Resources department will be able to provide information about leave entitlements. If you have a trusted colleague/friend at work, it may be helpful to tell them what is going on for you so they can offer you some extra support when you feel you need it at work. Check whether your organisation provides access to an Employee Assistance Program as you may be eligible for a series of free counselling sessions. Coming to a place of acceptance of the loss and the manner in which the person died is a critical phase of the mourning and grieving process. The way your loved one died does not define the way their life was lived or who was lost to you. Talking with others who knew the person or having a gathering in your loved one’s honour can be a lovely way of remembering their life and assist with the healing. Another beautiful way of keeping your loved one’s memory alive is to create a memory box or photo book that you can look at to reflect fondly on your time together. Enjoying life does not mean you have forgotten your loved one, nor they hold a lesser place in your heart – you will always remember them.